HostHero Review: HostHero provides cloud hosting to everyone. If you are familiar with cloud hosting and want the added dependability and reliability that comes with cloud hosting but don't want to pay the high price, check out HostHero. Now for less than $4 per month individuals can experience the cloud hosting platform. This feature packed cloud hosting plan provides security, reliability, and top performance. 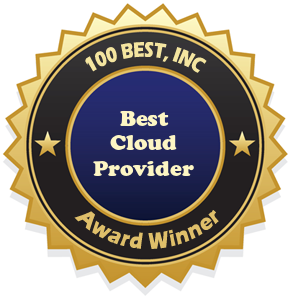 That is why we have awarded HostHero our Best Cloud Provider award. HostHero takes pride in the web hosting service they offer and are dedicated to providing every customer with a web hosting plan that will work for him/her. In order to keep customers happy, a web host has to provider high quality customer service. HostHero cloud hosting comes with 24/7 customer support. The customer support team is all North America based and is available anytime. Customers can choose phone, live chat, ticket system, or the online knowledgebase to find answers to questions that arise. HostHero doesn't have just shared cloud hosting, they also offer cloud VPS hosting for webmasters that have numerous websites or just need a more powerful web hosting solution than what shared hosting can provide. We recommend visiting the HostHero site where you can review HostHero for yourself, test out the support options, review all the web hosting features and terms and decide if this is the best cloud provider for your cloud hosting needs. Statement From HostHero: All of our accounts are placed on our revolutionary Cloud Hosting hardware with fast servers with full redundancy, 99.9% Uptime, instant account activation on the cloud, easy upgrade to our Cloud VPS, and a green hosting infrastructure. Cloud hosting is designed for high usage sites and are thus created in a fully load balanced network using CloudLinux Technology.